Yahoo! gets down on the 1AM Wall! Home/Classes, Community, Events, Mural Production, Team Building Workshops/Yahoo! gets down on the 1AM Wall! Last week, Yahoo! busted out an awesome mural on our 1AM Wall and created some NY and CA inspired T-shirts from our custom stencils. 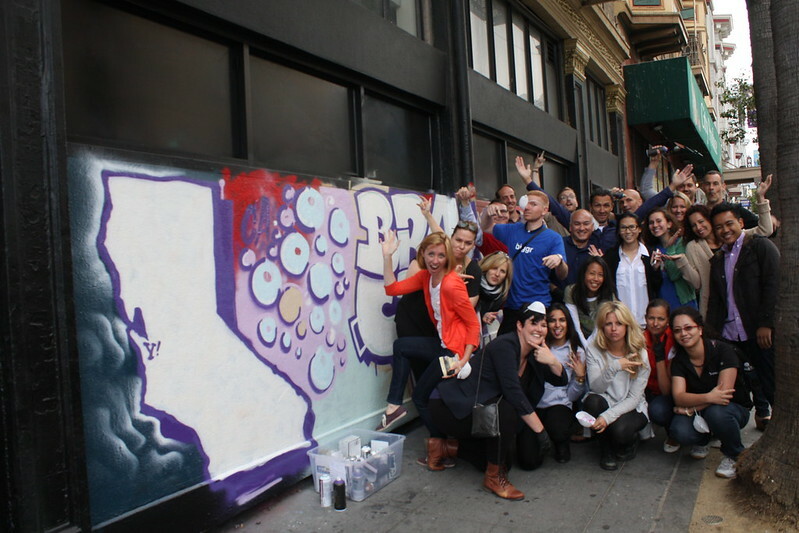 We were stoked to host their offsite event and we hope to see their creative team again! For more information, email classes@1AMSF.com.